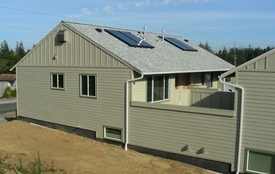 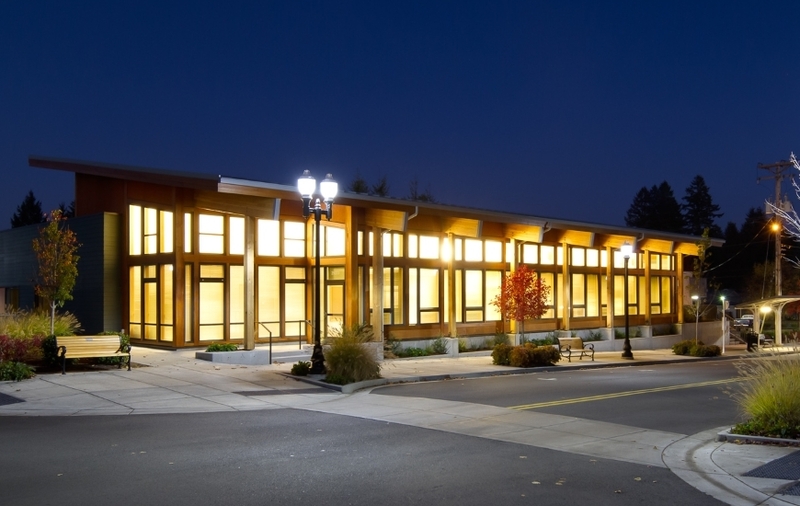 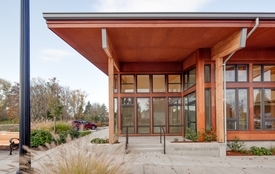 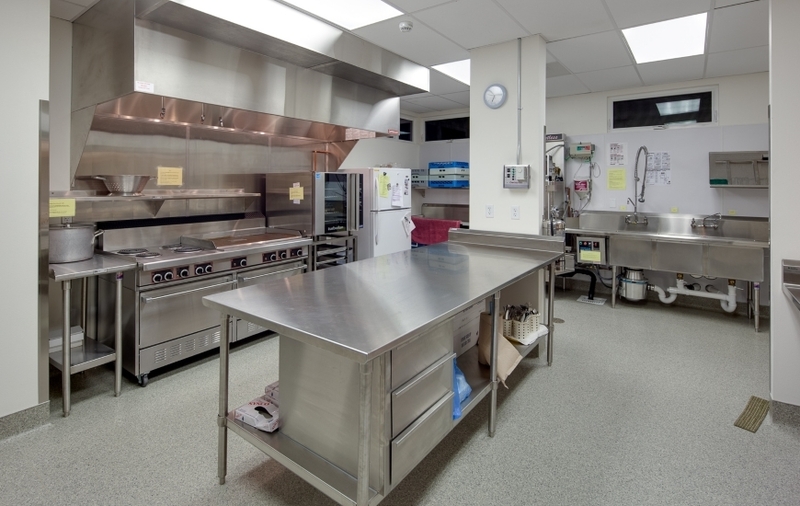 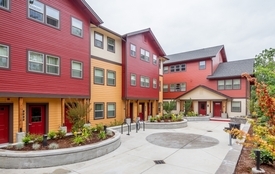 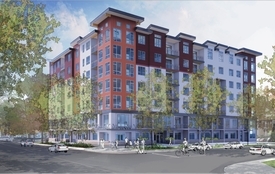 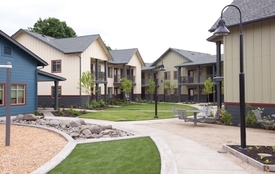 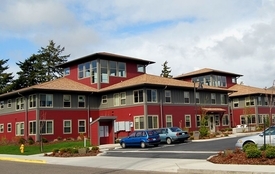 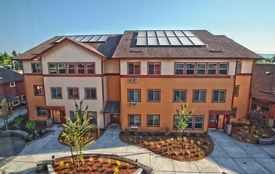 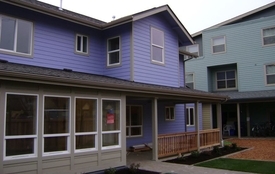 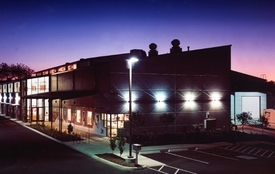 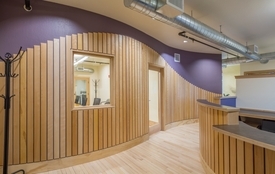 Funded in part by a Community Development Block Grant, this building houses several local social service providers, a senior center, and food-bank with a kitchen and cooler, to serve the Fern Ridge region. 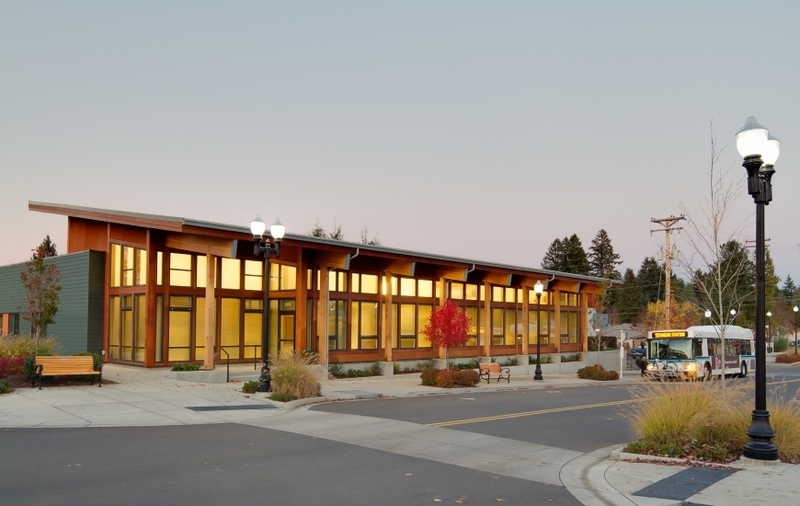 Offices, a conference room, community room and storage are all designed to provide flexible space and to maximize limited grant funds. 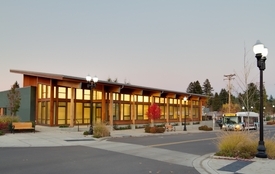 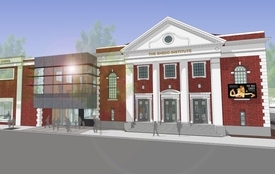 Sponsored by the City of Veneta, the building forms a centerpiece to a newly developed main street in this small, rural town. 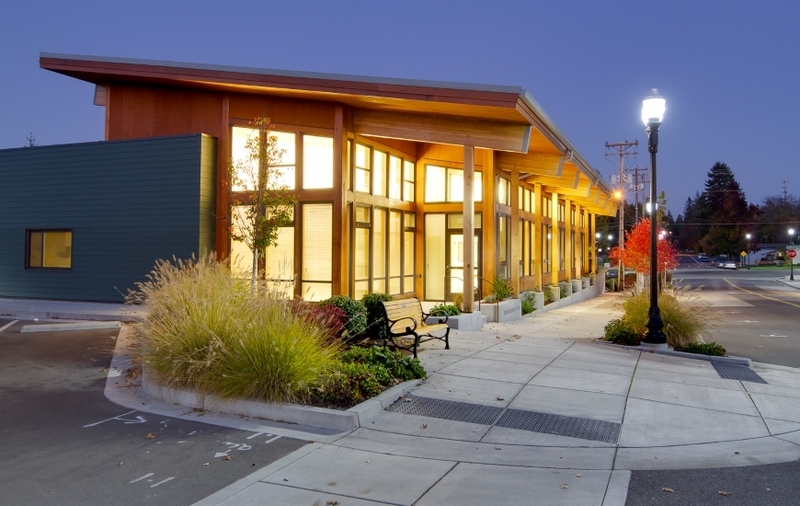 The design incorporated sustainable features and honors the community’s heritage by utilizing rapidly renewable or recycled forest products. 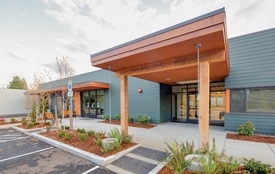 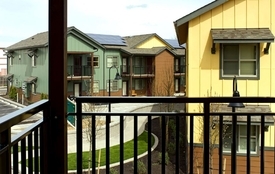 Features include natural daylight, natural ventilation, energy efficient lighting, low flow plumbing fixtures, and non-toxic and renewable materials.